This week in Arcs & Runs we turn our attention to the early beginnings and formation of the super-hero team: The Defenders. I used to think of this team as the group of super-heroes who weren’t invited to be an Avenger, or had their own series cancelled, a retread hoping for a second chance at their own book. This was the team that was once destined for the Island of Misfit Super-Heroes, and now they are so popular they have their own TV series! 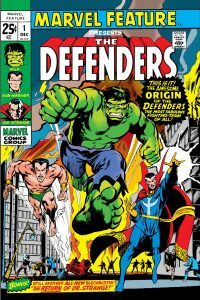 The Defenders were officially formed as a try-out team in December 1971 in Marvel Feature #1. 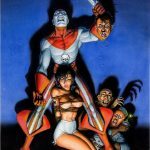 There was a vacancy in Marvel super-hero team world with the original X-Men on hiatus and only printing reprints. The Defenders turned out to be the team that filled that void. 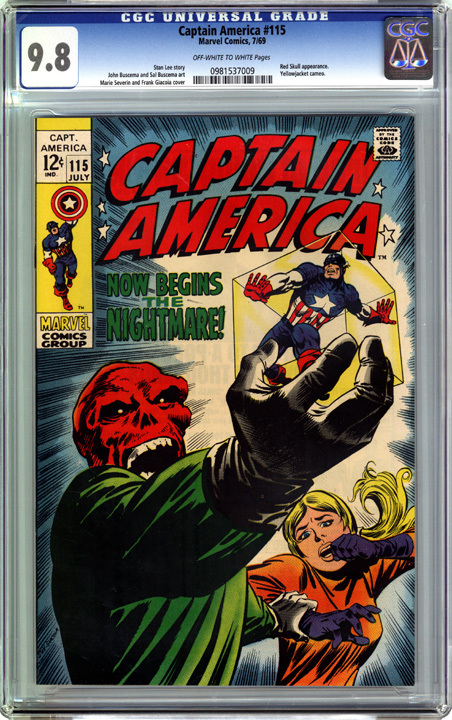 The original series ran from August 1972 thru February 1986, 152 single issues, one annual, and five Giant-Size in all. Mutant mania was in full swing by the mid-eighties with new teams like Alpha Flight and the New Mutants gaining popularity. 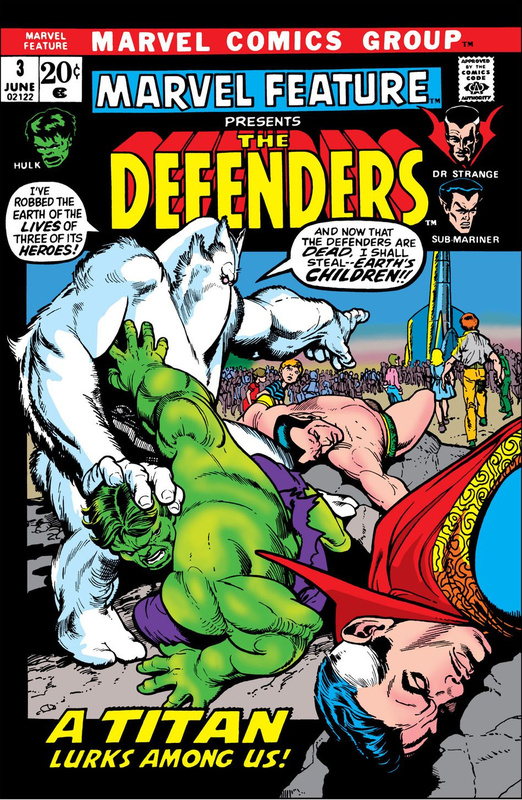 In a touch of irony, when Marvel cancelled the Defenders they used three ex-Defenders Angel, Beast, and Ice-Man, teamed them with Cyclops and Jean Grey to reform the old original X-Men, the team the Defenders originally replaced. Still it was pretty impressive run for this ever-changing team. 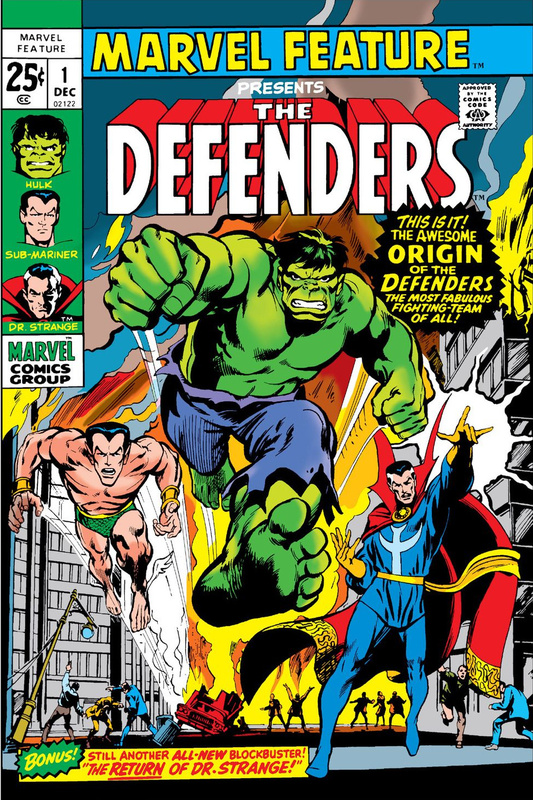 The Defenders original group of core members were Doctor Strange, The Incredible Hulk, and the Sub-Mariner. 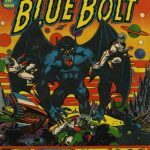 They were joined pretty quickly with characters like the Silver Surfer, Valkyrie, Nighthawk, Hawkeye, Luke Cage, Yellowjacket, Devil-slayer, Son of Satan, Hellcat, Clea, Red Guardian, Moondragon, and many, many, more. Quite often characters joined the team on a quick one-shot basis while others hung around for while. It certainly gave the writers a wide field of potential ideas to explore. Old villains like Yandroth, Magneto, Sons of Serpent and Scorpio caused havoc and new ones like Nebulon and Titan gave this new team all they could handle. We can’t forget the artists and writers – here they are, almost in order of appearance, artist first. 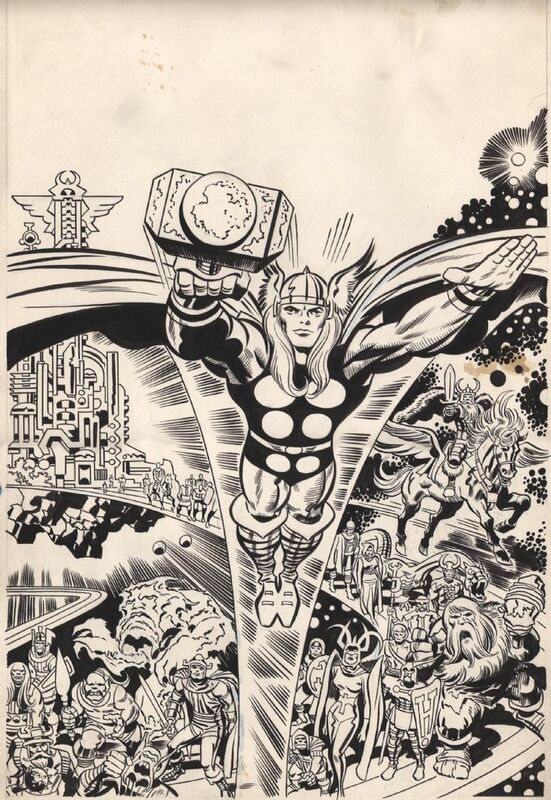 Gene Colan, Tom Palmer, Marie Severin, Johnny Craig, Herb Trimpe, Sal Buscema, Jim Mooney, Neal Adams, Ross Andru, Bill Everett, John Buscema, John Romita, Frank Giacoia, Gil Kane, John Verpooten, Jim Starlin, and Frank McLaughlin. That’s only on twelve issues! They sure use that bull-pen. Only two writers Roy Thomas and Steve Englehart once the series started. We will be quickly running through the eight early issues that cover the beginning of the journey toward the formation of the Defenders and the first four issues in the series. And away we go. 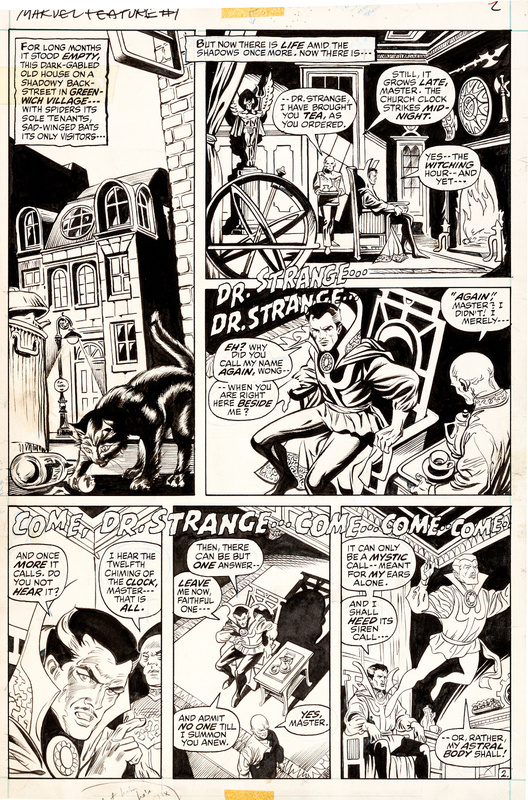 The early origins of the Defenders begin in one of my favourite Doctor Strange (#183 November 1969) books with terrific Gene Colan art inside and out, and features the first appearance of The Undying Ones. I was really into the story as this issue came to end and was waiting for a next issue that never arrived. Doctor Strange was cancelled. I can still remember reading this book for the very first time and what flat empty feeling I had with the unfinished story. 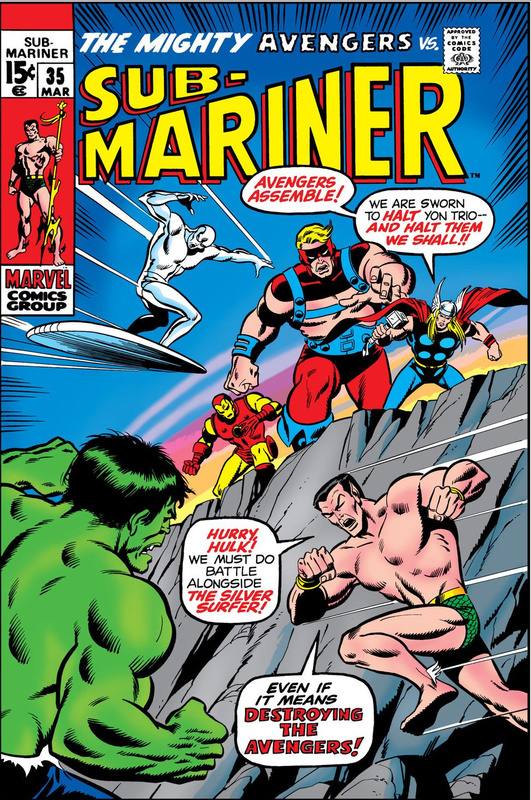 I thought that was it until, at a much later date, I discovered Sub-Mariner #22 (Feb.1970) and Incredible Hulk #126 (April 1970) where the story continued. 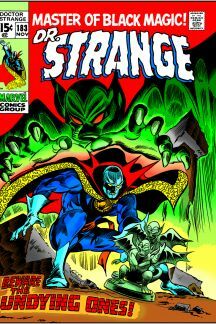 In Sub-Mariner #22 Doctor Strange is still on the case and he enlists the help of the Sub-Mariner to help battle the Undying Ones. An inter-dimensional portal opens and the Undying Ones try to come through but are stopped by the Sub-Mariner and Marvels good doctor. The Sub-Mariner escapes but Doctor Strange is trapped inside with the Undying Ones as the portal closes. The story continues in Incredible Hulk #126 a couple of months later, where we are introduced to Barbara Norriss for the first time. She is with a cultist group who serve the Undying Ones here on earth. 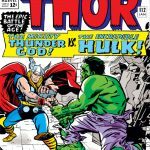 Long and good story short the Hulk and Barbara Norriss find their way into the land of the Nameless One and the Undying Ones, where they meet the still battling Doctor Strange. In a moment of guilt Barbara Norriss takes a chance to replace Doctor Strange at the gate of the portal, and Doctor Strange and The Hulk are sent out and back to earth. Barbara is left alone with the Undying Ones trapped in another dimension. Doctor Strange is so despondent he gives up being the Sorcerer Supreme. The inside of this book is much better than the outside. Nightcrawler character not related to the X-Men plays a role here as well. 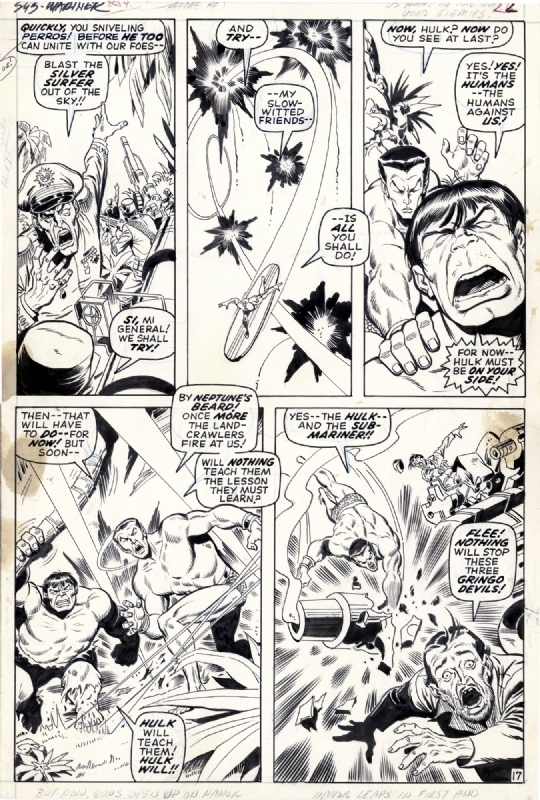 Sub-Mariner issue 34 page 17 by Sal Buscema and Jim Mooney. Source. 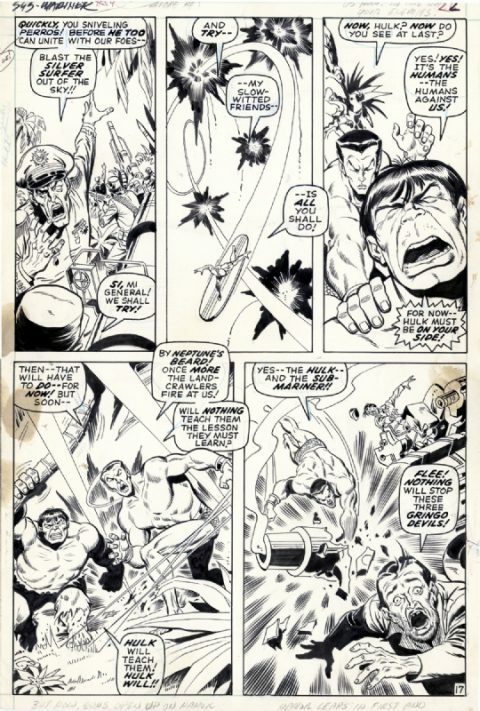 A second prelude to the Defenders takes place here in the pages of Sub-Mariner #34 and #35. 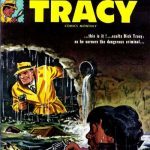 Walt recently wrote an Undervalued spotlight on these books. This time the Sub-Mariner gathers up help to find a weapon that the military plan to test but has the potential to destroy the world, if it isn’t fixed before testing. 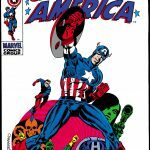 The Hulk, Silver Surfer, and Sub-Mariner team-up to take on the US army and then later the Avengers. 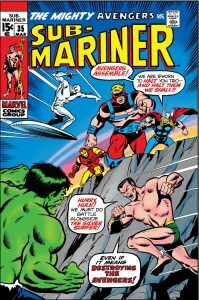 All works out well and the Sub-Mariner states they should consider teaming again if the need arises. Doctor Strange has returned to reclaim his title of Sorcerer Supreme from long time foe Baron Mordo. He needs help and gets it for the Hulk and Sub-Mariner in the first official teaming of this group of Defenders in Marvel Feature #1. The second issue in this series features the dread Dormammu. 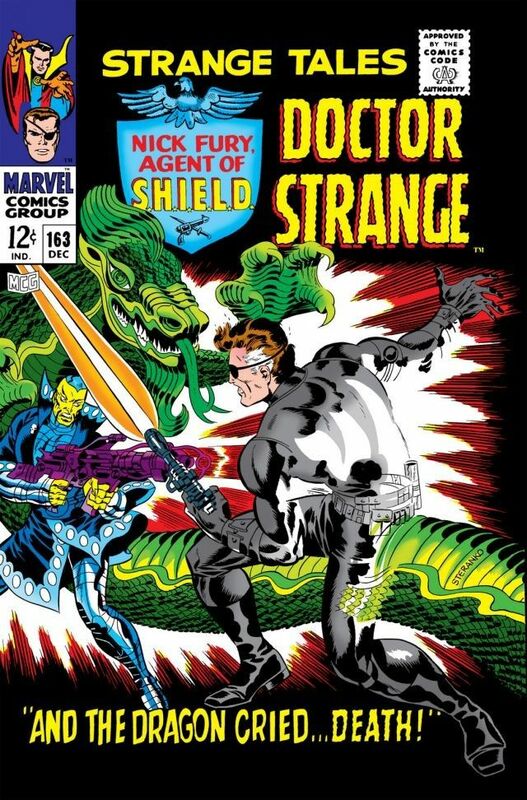 The team battles Doctor Strange’s mortal enemy and his minions at Rutland Mountain in Vermont the battle ends in a stalemate, but that always feels like a win when Dormammu is involved. Marvel Feature #3 has a new villain Xemnu of Titan a big white furry creature from outer space. He has a head like a creepy hypnotic owl. He does have of a big brain which he is using to hypnotize the population of earth’s children for transport back into space. The team led by the Hulk does get the better of him but he does escape and returns to tackle the team again in Defenders #12. 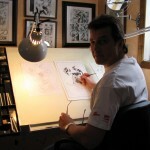 Xemnu is based on character from Journey Into Mystery #62 and #66 called – The Hulk. 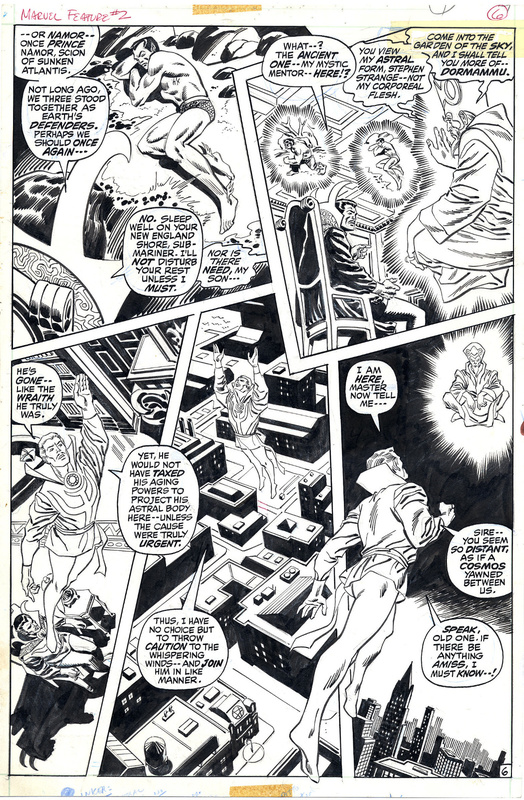 Marvel Feature issue 1 page 2 by Ross Andru and Bill Everett. Source. At last we have come full circle. The Defenders start with issue #1 and they take up the battle with some unfinished business, and the Undying Ones. In issue #1 we begin with a battle with Necrodemus. He is trying to sacrifice the Sub-Mariner to the Undying Ones. He fails and the Hulk and Doctor Strange rescue the Fish-Man (hulk talk). The Sub-Mariner claims he was attacked by the Silver Surfer. Doctor Strange wants to understand the reason why. He also knows the Surfer would be mighty useful in a battle with the Undying Ones. Issue #2 has the team in the Himalayas where they find the Silver Surfer living with a bunch of monkeys. They soon turn into Warrior Wizards who are quickly dispatched. A tougher guy Calizuma requires a battle with the team who of course emerge victorious. The Silver Surfer bemoans his predicament here on earth and Doctor Strange promises to help him. In issue #3 the team is going battle the Undying Ones and get the Surfer past Galactus’s barrier. A slight miscalculation puts them into the realm of the Nameless One and their friend Barbara Norriss is there. Its turns out she has mated (yew!) with him out of loneliness and has set a trap for them. Doctor Strange and the team battle their way out and also get Barbara Norris out only to find out she is now completely insane. Worse they over shoot the barrier on the way home. The Silver Surfer feels like he was duped by Doctor Strange and leaves -angry. Doctor Strange begins to question his ability to lead the team. He should spend some time with entities Order and Chaos to get some tips on how to handle this crew. Bonus issue Defenders #4 for CBD supporter – Eric. The still insane Barbara Norris is fused with the spirit of Brunnhilde by The Enchantress and becomes Valkyrie. This is the second time the Enchantress has pulled this off in the past year, when she tabbed young Samantha Parrington for the role of Valkyrie in Hulk #142. This time lasts much longer as Barbara Norriss becomes one of the longest serving members of the Defenders. Marvel Feature issue 2 page 6 by Ross Andru and Sal Buscema. Source. The 47th Overstreet Price guide prices are listed below in order of appearance. One of the nice things about the Defenders that really like as a collector was there was no one real big expensive book in the entire run that would prevent me from collecting them all. Marvel Feature #1 is the most expensive and you can still pick up a pretty presentable copy of that for $50-75. Finally, I would like to wish everyone a Merry Christmas and the very best of the Holiday season. 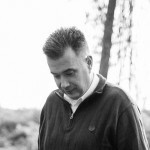 Nice write up Mike, and as always, chock full of information. I was never a fan of the Defenders… and like you, I also felt that Marvel took their remaining characters and lumped them into a group. I’ve never had much success with these books in the back issue market either but I know that there are several “keys” and 1st appearances (albeit minor) in the series which many people gloss over. It’s an eclectic series but a nice trip for those who enjoy this particular era. Thanks for chiming in Charlie. My brother and I collected the who run back in the late seventies, and it was a pretty easy one to complete. It was especially easy on my wallet, and there were a lot of good reads in the run. The Avenger/Defender crossover was a highlight. Early on, with the Silver Surfer in the fold, they looked like the most powerful super-hero team Marvel had ever assembled.